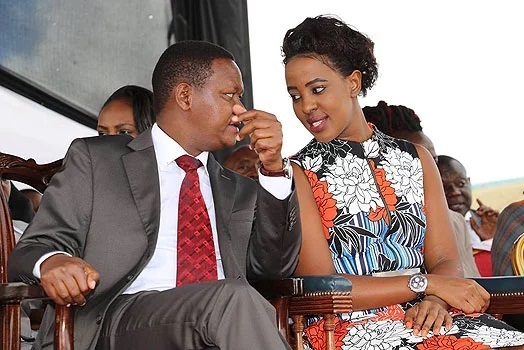 Wednesday April 17, 2019 - Machakos County Governor, Dr Alfred Mutua, has called for the scrapping off of Women Representative positions saying they are useless. Speaking on Wednesday at the Building Bridges to Unity Advisory Taskforce at the Kenyatta International Convention Centre, Mutua said the Women Representative positions should be abolished and replaced with a reserved Member of Parliament position for women in a single constituency per County. The Machakos County boss said this would reduce the number of legislators "bloating" the Government. The Governor said that the system would work through a declaration in the Constitution that a specific constituency in a County was reserved for women. "The system could also be rotational and move through constituencies because we need to accommodate women in the political landscape," Mutua said. Speaking on behalf of his Maendeleo Chap Chap party, Mutua also proposed the installation of CCTV cameras at polling stations during elections. "This will defeat the feeling of rigging in the country as the people can see the counting process live and even tally with the officers," he said.